Photo credit: Newsday / J. Conrad Williams, Jr. | A Boeing 737 jets lands at MacArthur Airport. It’s time Long Island MacArthur Airport changed hands. Give credit to repeated Islip Town administrations for seeking to make it attractive to airlines. Still, the airport has not realized its potential to fill its gates with waiting airliners because it’s owned by a municipality with virtually no power to negotiate with airlines as an equal partner. Airlines run a complicated business model in a ruthlessly competitive industry, where the numbers need to make sense before they commit to a location. That environment is only going to get tougher if the recently announced merger between American Airlines and US Airways goes through as expected. Today’s aviation business climate includes airline consolidations, low-cost operators such as Southwest fighting new competition for passengers, and fuel costs that are wandering commodities. All of this leaves regional airports anxiously wondering where their air carriers went. MacArthur’s problems are complicated by its location in the shadow of LaGuardia and Kennedy airports, run by the Port Authority of New York and New Jersey. Airlines fiercely compete for access to the New York City airports. The competition is so intense that the Port Authority is able to compel some airlines to serve the Authority’s distant Stewart Airport in the Hudson Valley in return for downstate access. It’s irrelevant whether those airlines lose money at Stewart, because their Kennedy or LaGuardia presence brings millions in revenue. Long Island MacArthur is further conflicted because town officials have aggressively sought to have it named as the site for the next Federal Aviation Administration air-traffic facility, which controls the arrival of international flights. If it wins that competition it may well lose its ability to grow as a commercial airport; some aviation planners say the airport won’t have the room to extend its runways as much as is needed to attract new airlines. 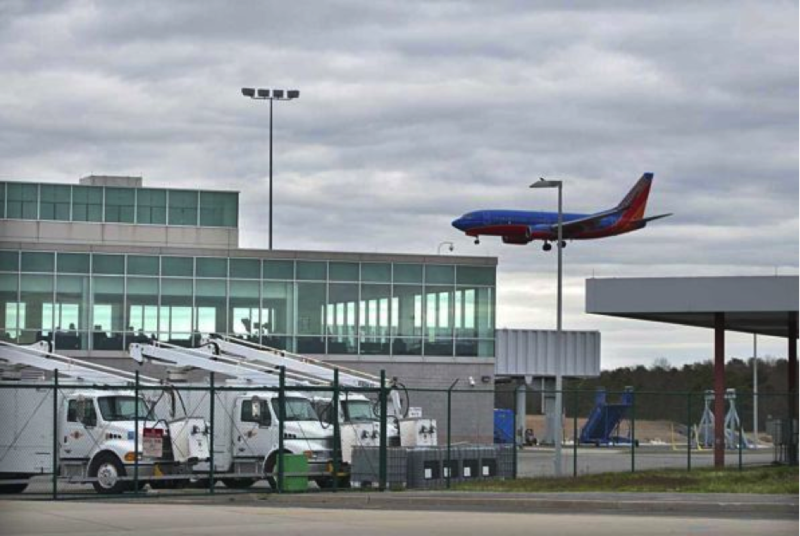 One obvious solution is for the Port Authority to assume control of Islip’s airport and face the airlines as an equal partner in negotiating a larger airline presence at MacArthur. But that change would require the Port Authority to have its charter amended, as it is only permitted to operate within a 25-mile radius from New York Harbor. Politically, that’s a daunting task. It would require approval by both New York and New Jersey, as was done for Stewart. Ownership by the New York State Department of Transportation could be a solution, allowing the power of a statewide agency to strengthen MacArthur. Metropolitan Transportation Authority ownership would be yet another alternative. The MTA was in charge of Republic Airport when that sprawling complex was a general aviation center while still a defense plant. Yet a third option is the creation of a Long Island Aviation Authority that would be empowered to work within the framework of a legislatively mandated alliance with the Port Authority. None of these options would be welcomed by Islip Town; the airport is a point of pride. But the facility has the potential to seriously hemorrhage a town budget already bleeding. In the end, if Long Island MacArthur wants to be taken seriously, it needs to participate in the current FAA effort that is redesigning the air space that controls how many airliners can fly through our skies. Theoretically, Long Island’s airport should be a designated “reliever,” capable of absorbing any number of domestic flights now going to Kennedy and LaGuardia. To be tapped as a reliever means that Long Island MacArthur has the ability to extend its runways, the infrastructure to welcome millions more people, the political will to work with the surrounding community and the urgency to commit to such a plan before 2014. That’s when the lease between Southwest Airlines and the airport allows the anchor airline to depart from Islip Town. Michael Polimeni is chairman of the Aviation and Defense Industry Advocacy Committee of the Association for a Better Long Island, a developers group.